In July 1795, Francis Szarka (or Sarca as the registrar would have it) of the parish of St. Ann Blackfriars, married Sarah Richards at St. Andrew by the Wardrobe. 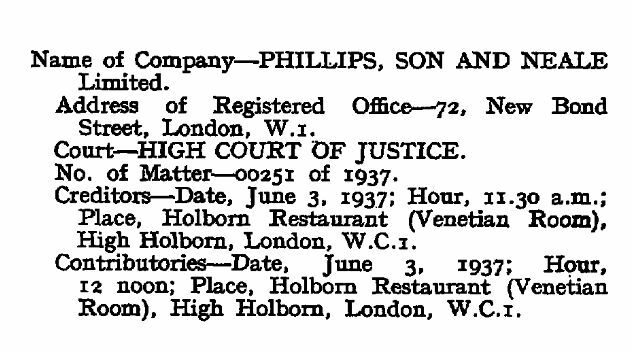 They were married by banns, so no additional information about their parents or their address was recorded in the church records, but two years later Francis insured his furrier business at 10 East Harding Street, Fetter Lane. In 1810 and 1815, the Post Office Directories list him at 15 Gough Square. 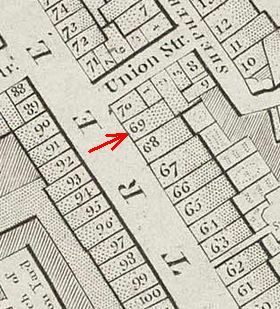 By 1817, Francis had relocated to 188 Strand, on the corner of Arundel Street. 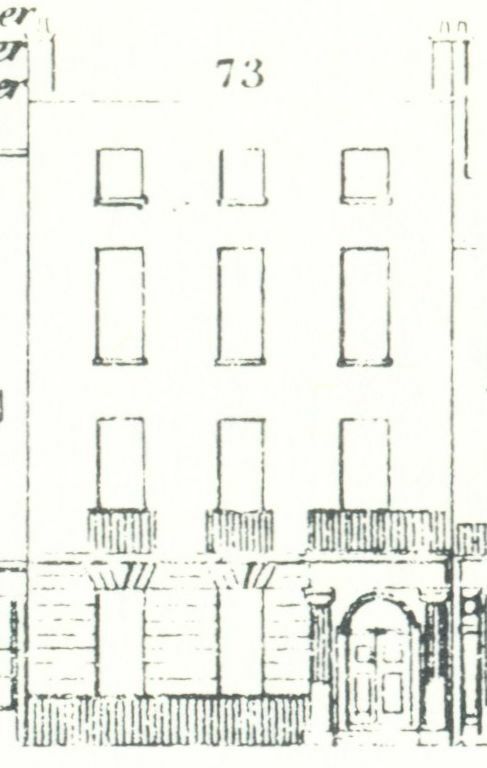 (1) From 1823 onwards the business was called Szarka & Co., and some time later, the business was spread across two properties: 188 Strand and 119 New Bond Street. An 1835 Old Bailey case in which two foreigners were accused of stealing a sable-tail boa tells us more. (2) Francis stated that he had his business at 188 Strand and that he also lived there. His daughter helped him in the shop. His son George ran the New Bond Street premises for him, but he, Francis, was in the process of moving his whole business to that address, or so he said: “as I was going to move my business, if they wanted any thing in that line, I would be obliged to them to call in Bond-street, where my son lived—I told them he was my son—I was about moving at the time—”. The first indication that he actually did move is from an 1838 advertisement in which he mentions the expiration of the lease of 188 Strand as the reason for moving and we know that the next occupant, cutler Samuel Fisher, was first mentioned at the Strand address in 1838. The New Bond Street property is now a Grade II listed building with the following description: “Terrace house. Mid C18 altered early to mid C19. Stuccoed with slate roof. Three storeys and dormered attic. Two windows wide. Ground floor has later C20 shop front. 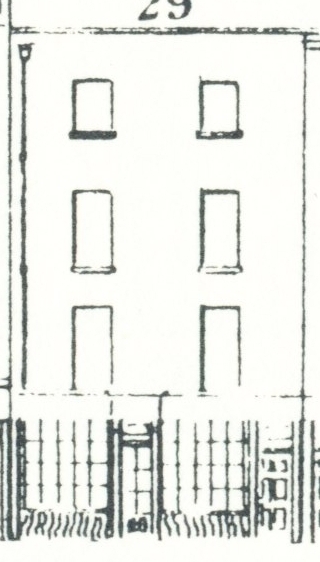 Upper floor windows: revealed sashes with late C19 glazing in architrave surrounds, those on first floor with cornices, those on second floor pedimented. Moulded cornice and blocking course”. (3) The cornices and pediments above the windows are probably later than 1840 as they cannot be seen on the Tallis Street View facade. The 1841 census duly finds the whole Szarka family at New Bond Street: Francis, his daughter Caroline, his son George with his wife and five children, two independent ladies – presumably lodgers -, two female and one male servant. But things were not going as well as could be hoped and in 1843 bankruptcy proceedings were filed against Francis and George Szarka. (4) Francis was obliged to appeal to the generosity of the general public to supplement the 4s. he received from an unnamed charitable institution. What happened to George between the folding of the business in 1843 and 1849 is unclear, but he and his family were to set sail on the “Steadfast” as assisted immigrants to Australia where they arrived in April 1849. His wife Helen apparently died at sea after an epileptic fit and George had to provide a new life for his seven children aged between 1 and 16 and himself. He eventually became a public school teacher and died in 1885. 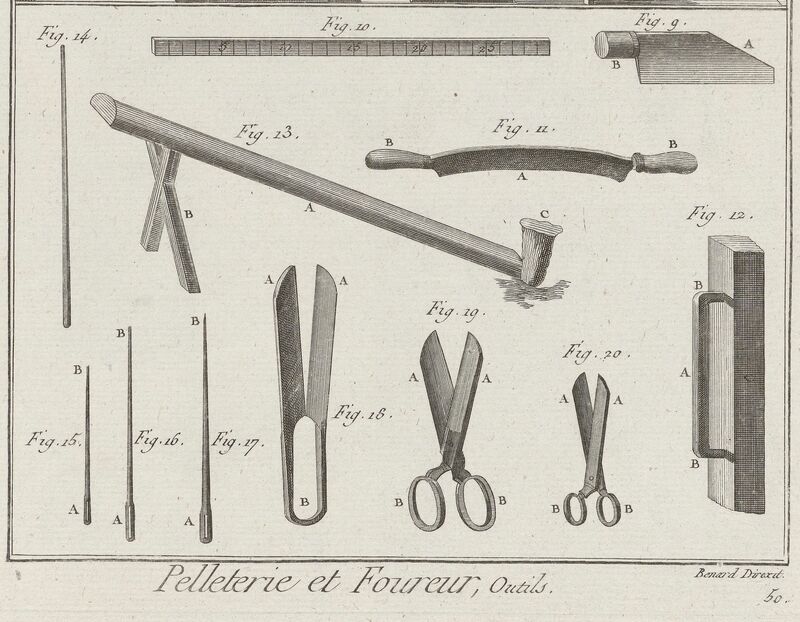 For the top part of Diderot’s plate, showing a furrier’s shop, see the post on Borradaile, Son & Ravenhill. 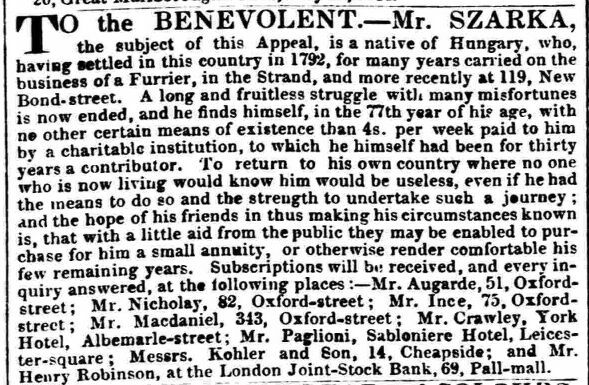 (1) The Times, 3 January 1817. (2) Old Bailey case t18350105-389. Online here. (3) Historic England, Listing NGR: TQ2880480946. Online here. 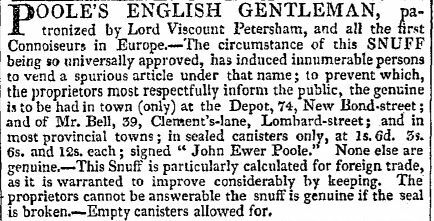 (4) The London Gazette, 10 March 1843. (5) England & Wales, National Probate Calendar (Index of Wills and Administrations), 1868. Francis exact age is unclear. The 1841, 1851 and 1861 censuses give him as 70, 86 and 95 respectively and the 1844 appeal advertisement as 77. Thomas Day Huntly and his sister Mary, two of the five children of William Huntly and Elizabeth Lockyer, were baptised in Bath Abbey on the 21st of December 1783, the feast day of St. Thomas, hence young Thomas’s name. (1) In 1796, he was apprenticed to a well-known engraver of Bath, William Hibbart (also spelled Hibbert) and his son John. Hibbart was a printmaker, engraver, and copper-plate printer, who advertised as a teacher of the trade. William paid Hibbart the premium of £26 6s for the privilege, which was quite a substantial sum of money to lay out on the vocational education of a younger son (Thomas was the 5th child and the 3rd son). If Thomas served the regular 7 years’ apprenticeship, he would have been ready to set up on his own in 1803, but there is no evidence that he had his own business that early in his career. He may have worked for his elder brother John Lockyer Huntly who worked as an engraver in Bath from Pulteney Street and later from Sydney Buildings. The first we hear of Thomas Day in London is on 15 October 1811 when he married Elizabeth Allen at St. James’s Piccadilly. The marriage record does not give Thomas’s profession or address, so it is unclear what he was doing and where he was living at that time. The first record of him in the land tax records for 74 New Bond Street is in 1816. In 1815, the property appears to be empty as no name has been filled in, and in 1814 the name of the previous occupant, Michael Visterin, a corset or truss-maker, has been crossed out. Visterin’s name had been listed at number 74 from 1809. The tax records for New Bond Street are slightly confusing, as two numbering systems have been used. Sometimes the house number is given, sometimes some sort of administrative number, sometimes both, and sometimes neither, as for instance in 1816. Number 74 was administrative number 62, and therefore number 74 is in reality house number 86. The administrative numbers do not correspond – as I first thought – with the house numbers before the renumbering in c.1805 as number 74 was then number 69 (see Horwood’s map of 1799). Fortunately, the record for 1814 gives both house and administrative numbers and although Huntly is not yet listed, it clearly shows his later neighbours: Harry Phillips, the auctioneer, at number 73 (admin nos 59-61) and William Tarner at 75 (admin no 63). 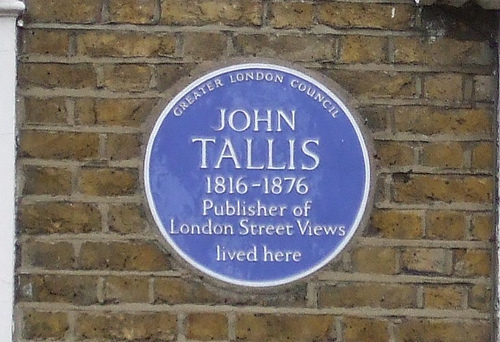 At the time Tallis produced his booklets, Phillips was still working from number 73 and number 75 was occupied by Thomas Tarner, bookseller and stationer. 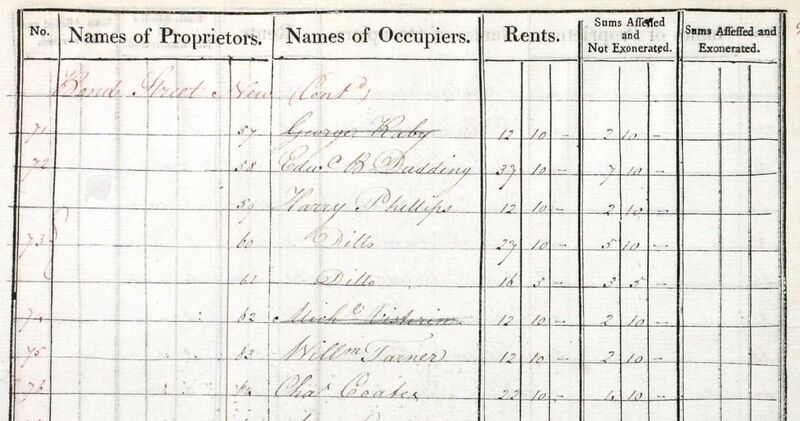 Huntly probably moved into number 74 earlier than the tax records suggest, as the Westminster Rate Books already have him paying for the property in 1813. 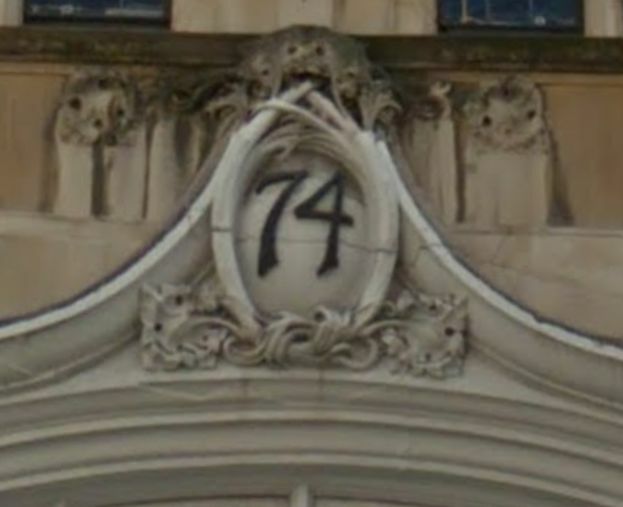 After Poole left, number 74 was also used by Wallis and Co, who sold The Recreative Review from the premises. 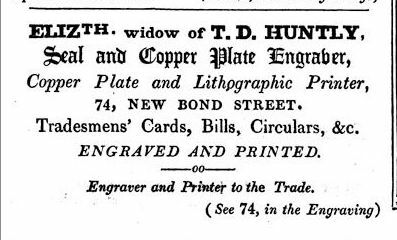 But despite these other occupants, Thomas Day Huntly continued his engravers business and his name is listed for number 74 in all the relevant directories. 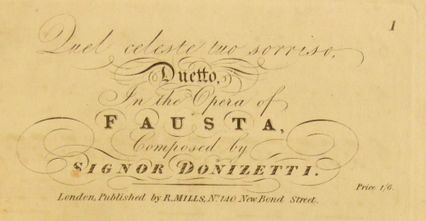 He engraved seals, but also bookplates (ex-libris), and he supplemented his income by organising exhibitions of paintings and/or drawings (see for instance the 1818 advertisement above); the admission price for these events was 1s. 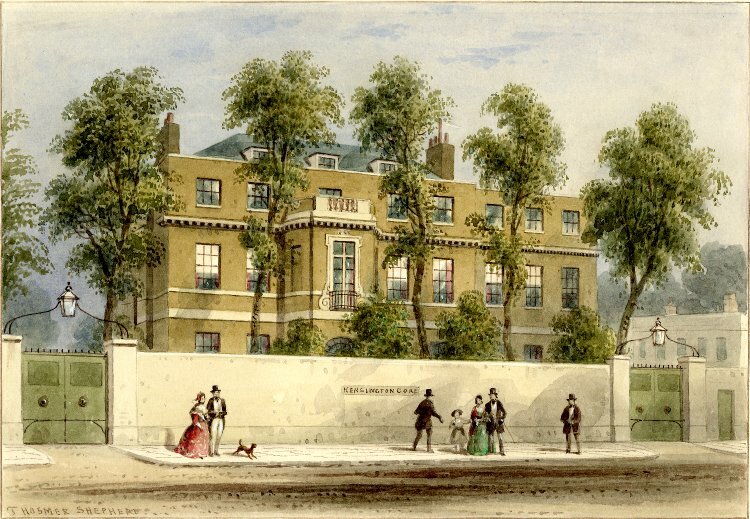 In 1830, Thomas expanded the business to include 167 Regent Street, but he was not to reap the rewards of the expansion for very long as he died in late 1832 and was buried at St. George’s on the 13th of December. He left all his property, including the business, to his widow “for her personal use” and if she was to remarry, her new husband “shall not have it in his power to dispose of the aforementioned business or trade or any other property” that was part of the estate. 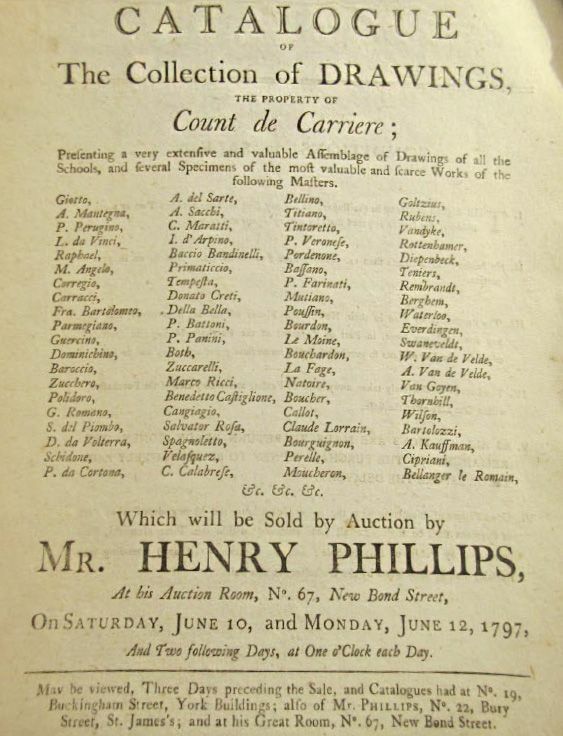 After Elizabeth’s death, the estate was to be sold for the benefit of the children. (3) If either of the sons wanted to have the business, they were allowed to purchase it at a price determined by “persons competent to judge the same”. No new husband was in the picture and neither did the sons take over 74 Bond Street, so it was Elizabeth whom Tallis found on the premises when he compiled his Street Views. 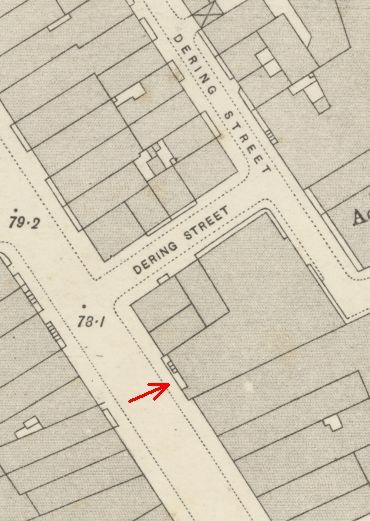 The 1841 census found Elizabeth at number 74 with sons George and Samuel; daughter Selina used the address in 1843 when she dissolved a partnership with Amelia Liberty as milliners and dress makers. (4) In 1851, the census lists Elizabeth with her sons Thomas and Samuel at number 74, and in 1861 with her daughter Ann. She died in 1868 in Marylebone; probate was only granted in 1885 to daughter Ann as the residuary legatee. 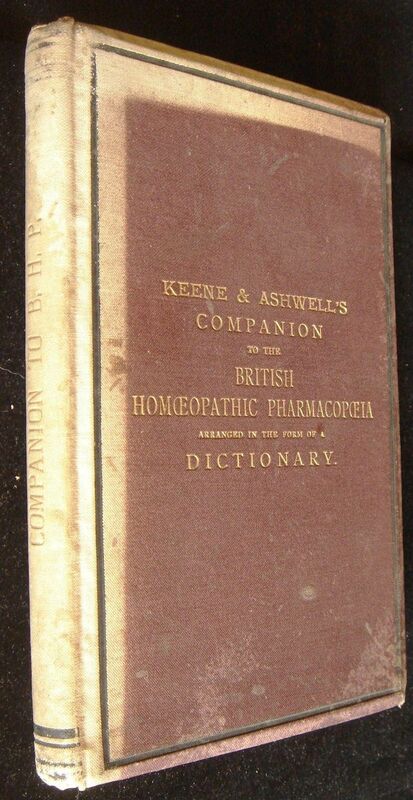 (5) Elizabeth must have relinquished the business sometime after the census of 1861, where she is still listed as engraver and printer, and before the end of 1865 as from then onwards, advertisements appear for Henry Turner and Co., homoeopathic chemists and medical publishers. The tax records still list Elizabeth in 1864, but no longer in 1865, so she probably left in 1863 or 1864 – tax records tended to be a bit slow in updating the names of property owners. 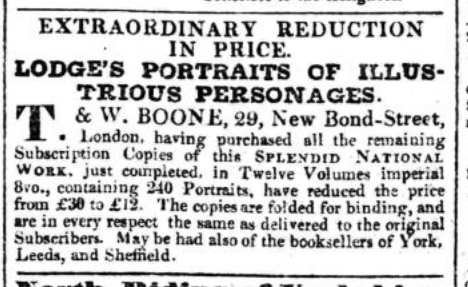 In 1869, John Keene took over the shop in New Bond Street after his partnership with the Turners was dissolved. 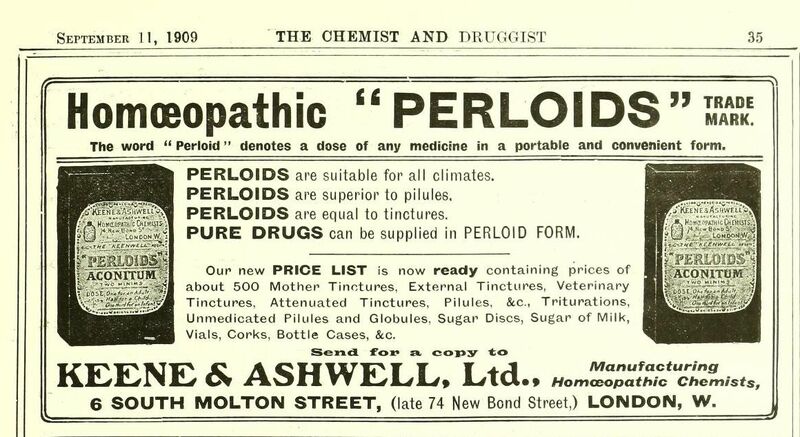 See for the rest of the story on the chemist’s here. It is not entirely clear what happened to 167 Regent Street. 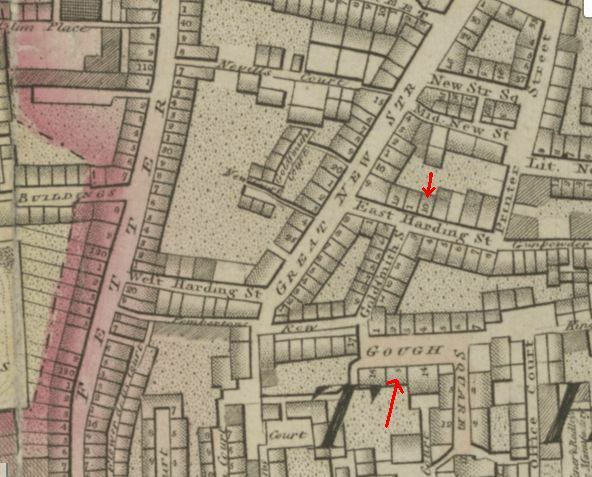 Pigot’s Directory of 1839, and the 1843 and 1851 Post Office Directories just show Elizabeth Huntly at 74 New Bond Street, although she apparently still paid tax and rates on the Regent Street property, at least until 1843. The Post Office Directories (and Tallis, by the way) give William Eyre, hosier, as the occupant of number 167, but he may just have rented (part of?) the shop. I will try to find out the exact circumstances when I write the post on Eyre. 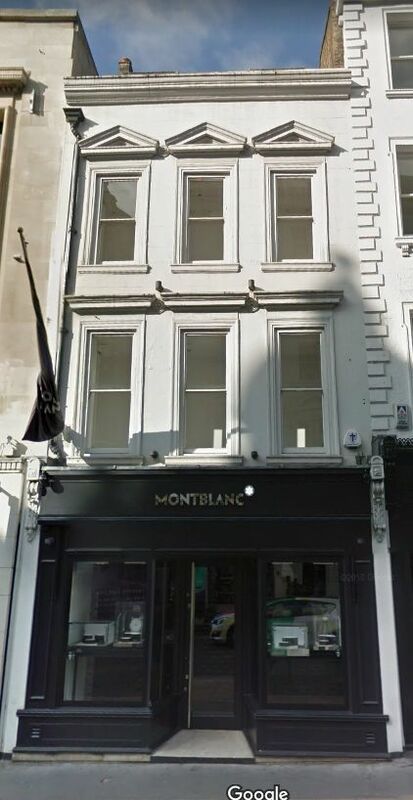 74 New Bond Street as the Huntleys knew it no longer exists. In c.1900, a new building, designed by Henry John Treadwell (1861-1910) replaced the old one. The Treadwell building is now Grade II listed; you can read the listing text here and see the building in Google Street View here. (1) I am most grateful to Debra Lyons, a Huntly descendent, who sent me a lot of information on the family, which has been incorporated into my text. (2) The London Gazette, 16 January 1821. (3) PROB 11/1809/120. Children mentioned in his will: Thomas Johnson, William, Elizabeth, Mary Anne, Selina, John Lockyer (named after his uncle), George, Samuel Hazard, Anne, Elizabeth Selina. (4) The London Gazette, 2 October 1846. (5) England & Wales, National Probate Calendar (Index of Wills and Administrations), 1885. Estate valued at £150. 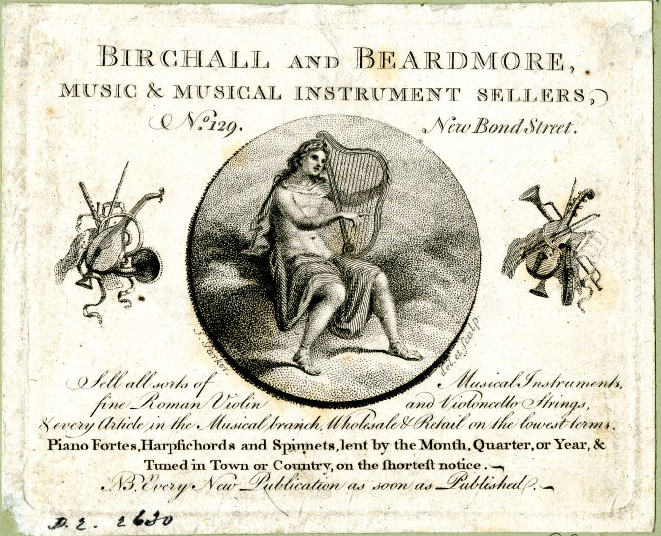 We saw in the post on Christopher Lonsdale that he used to work for Robert Birchall, music seller at 140 New Bond Street (was 129 from c. 1780-c. 1785 and 133 from c. 1788 to ±1816/7), but later set up on his own at 26 Old Bond Street. 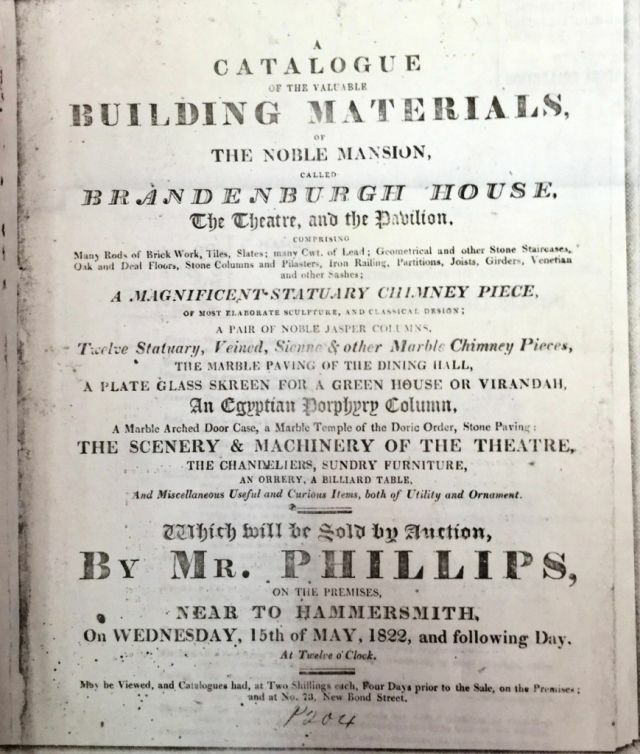 This post is about the shop at 140 New Bond Street where, after the death of Robert Birchall in December 1819, Christopher Lonsdale, Birchall’s daughter Mary, and Richard Mills formed a partnership to continue the music business. Mary Birchall left the partnership in 1829 and in October 1834 Mills and Lonsdale decided to discontinue the remaining partnership with Mills to stay at 140 New Bond Street and Lonsdale to start his own business. Richard Mills was the nephew of Mabel Mills, the wife of Robert Birchall, but the Millses were also related to the Lonsdales as Richard’s grandmother was the sister of the Christopher Lonsdale who died in 1797. Moreover, Christopher the younger who moved to 26 Old Bond Street, that is, the grandson of the Christopher who died in 1797, married Mary Ann Mills, the sister of Richard Mills, his former business partner. All quite complicated, but we will forget about the Lonsdales in this post and concentrate on Richard Mills. 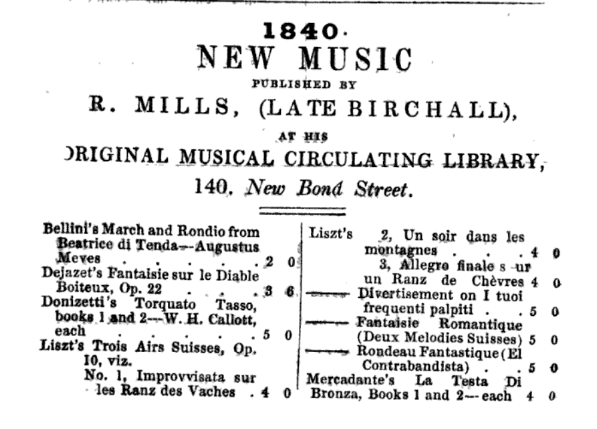 In an advertisement in The Literary Gazette, and Journal of Belles Lettres, Arts, Sciences, &c. of 21 February 1835, that is, 15 years after Birchall’s death, Mills described himself as “nephew and successor to the late Robert Birchall” who will continue the business “established nearly 60 years ago”. 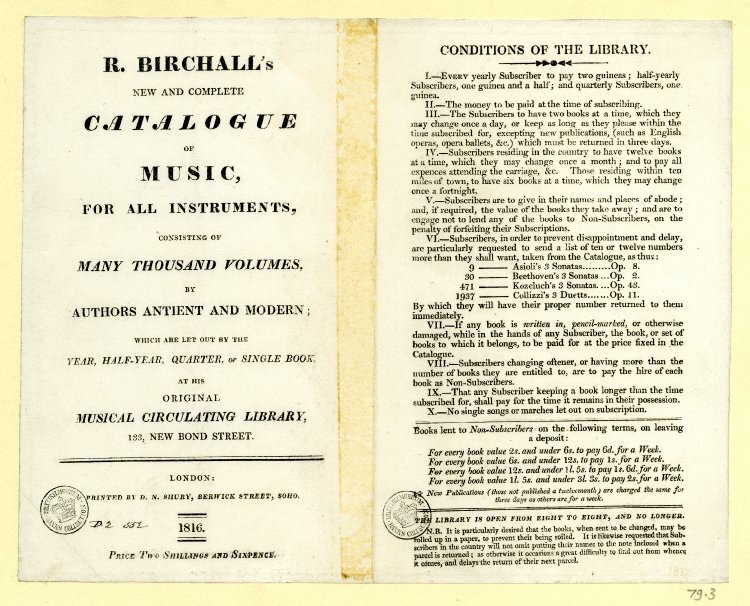 He draws particular attention to “the musical circulating library [which] will be continued as usual, as R.M. 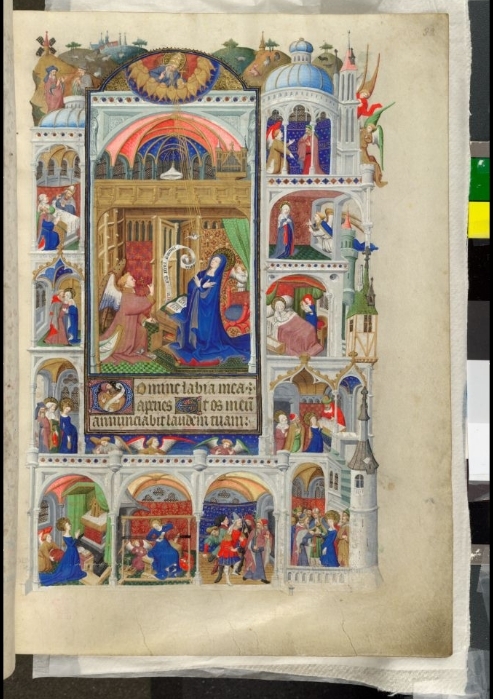 has been in the above house twenty-three years, and has paid particular attention to this department of the business”, so Richard had already been responsible for the library when Birchall was still alive and intended to continue with this part of the business. The rules are made clear in an 1816 booklet; no writing in the books allowed on fine of paying the set price; and the library was open from 8 o’clock in the morning till 8 o’clock in the evening, but “no longer”. There is no exclamation mark after this last clause, but it certainly feels as if there were customers annoyingly banging on the door trying to exchange material after eight. Why else the warning? The 1841 census found Richard Mills, his wife Elizabeth, and their growing family at number 140 where they were to remain till they handed over to their successors Hill & Co, but let’s not get ahead and stay with the Millses for a bit. In 1841 four children are at home (Elizabeth, Thomas, Arthur and Robert); the eldest sons, Richard Maitland and Henry, are at school in Greenwich. In 1851, Richard Maitland and Henry are back home and described as assistants to their father, and so is Arthur. Son Thomas has chosen a different career and is a clerk in a foreign merchant’s office. The youngest son Robert is described as ‘scholar’, that is, still at school. Ten years on, in 1861, Richard Maitland and Robert are working in the business as assistants. Richard senior died 28 November 1870(1) and widow Elizabeth is named the head of the household in the 1871 census. Richard Maitland and Robert are still there and listed as music sellers. Thomas is also living in Bond Street and is listed as clerk, but whether he is a clerk in the music business or somewhere else is not made clear. In 1881, Richard Maitland, by then a widower,(2) is the head of the household and living with him are Arthur and Robert. Ten years later, Richard has married again, Robert is still there, but no sign of Arthur. And the 1891 census was the last to list the Millses at 140 New Bond Street as in 1895, W.E. Hill & Sons (that is William Ebsworth and his sons William Henry, Arthur Frederick and Alfred Ebsworth) took over and immediately rebuilt the shop to their requirements. 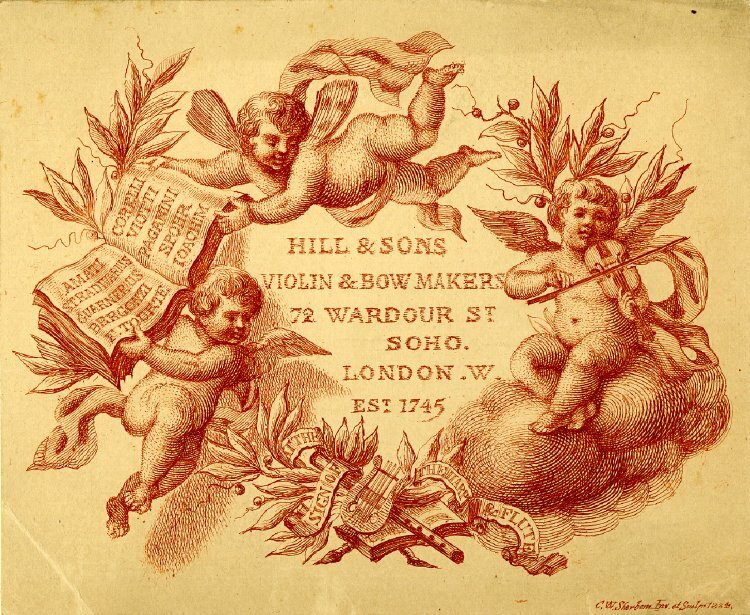 They specialised in string instruments and had started out in Wardour Street, adding 38 New Bond Street to their emporium and then moving their whole business to number 140 in 1895. The building is now Grade II listed and according to the listing text it was designed/built in the Flemish style by Frederick James Eedle and Sydney Herbert Meyers. (3) You can read more about the Hill family and their track record as musical instrument makers and restorers here. 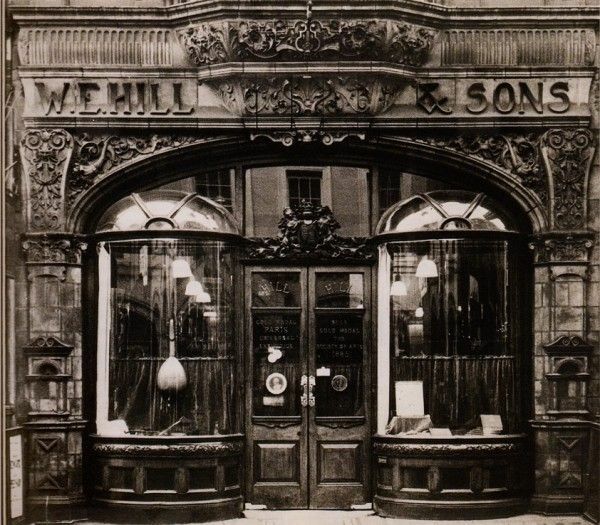 The Hill Company was dissolved in 1992, but the building is still there and the ornate ground floor surround can still be admired (or loathed, depending on your architectural taste), although the shop windows have been replaced by a more modern version. (1) England & Wales, National Probate Calendar (Index of Wills and Administrations), 1871. Probate is granted to widow Elizabeth and son Richard Maitland. Effects valued at under £7,000. (2) He had married Fanny Judith Grattan, a widow, on 17 April 1876 at Langham, Westminster. She died in 1879 and Richard married again in 1882 with Martha Jane Aves from Cambridge. In 1929, a Canadian newspaper(1) ran an extensive article on “The Oldest London Bookshop” to mark the bicentenary of the shop. The article describes the subsequent owners of the bookshop, quoting heavily from The Oldest London Bookshop. A History of Two Hundred Years by George Smith and Frank Benger (1928), the commemorative volume published at the time of the celebrations. The book was published by Ellis, 29 New Bond Street. In actual fact, the last Ellis had died in 1902, but the new owners kept the old name. • The shop is now no longer a bookshop, but the Halcyon Gallery. – Rare voyages and travels, works on natural history, &c.
William died on 26 November, 1869 and was buried a week later at Brompton Cemetery. 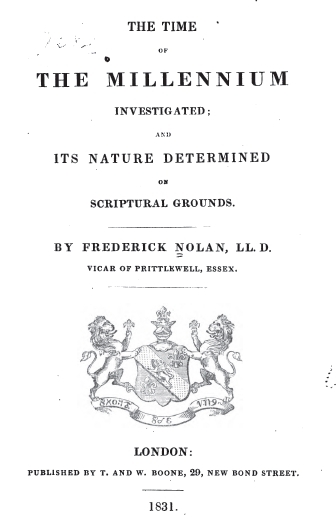 His probate record gives his wealth at “under £30,000” and was proved by Angelina Nolan, his sister, by then a widow. 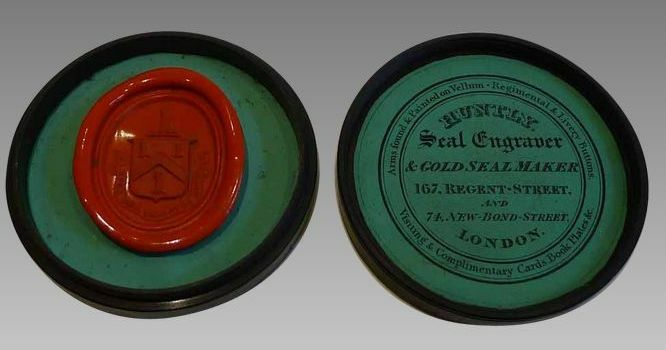 (8) Thomas senior and junior decided to sell the business in 1872 and the remaining stock was sold in 1873. Thomas senior died that same year. He was buried 28 April 1873 in the same grave as James Henry where later his wife Emma (13 Sept. 1875), his son Oliver (27 Sept. 1875) and his daughter Emma Elizabeth (15 Dec. 1904) were to follow him. 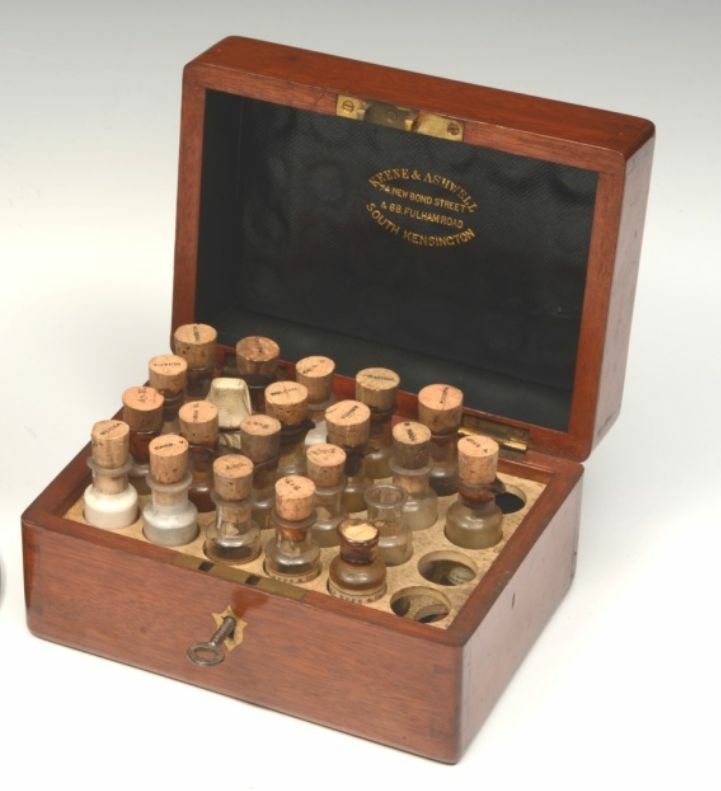 (9) While William’s fortune had amounted to £30,000, Thomas’s probate record lists his effects “under £60,000”. (10) The graves of William and Thomas are situated next to each other in Brompton cemetery, but the headstones are no longer legible. A friend has taken a photo of the general area and that will have to do as a memorial to the Boones. We will end this post with a quote from the commemorative book, allegedly from ”a well-known London librarian”; the name of Ellis might just as well have been that of Boone. Shut his shop, the earth would stop in sheer dismay. 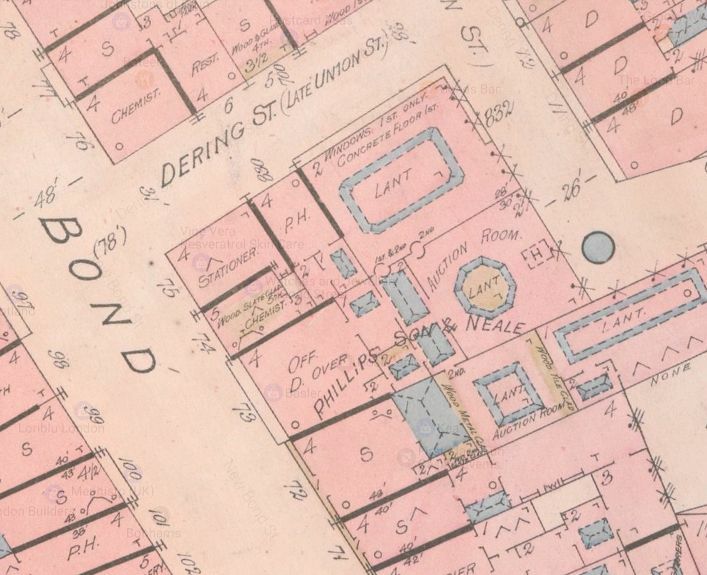 (2) Drummond Bank was acquired by The Royal Bank of Scotland Group in 1924 and they hold the archives for Drummond’s. Many thanks are due to Sophie Volker, archivist trainee at RBS, who filled out the information on Oliver’s career. (3) H.R. Plomer, “Some Private Presses Of The Nineteenth Century” in The Library (1889), p. 417. (4) J.W. Burrows, Southend-on-Sea and District: Historical Notes, (1909) pp. 191-193 which also includes some of the songs that were made to ridicule Nolan. (5) The York Herald, 20 Feb. 1836. (6) The Morning Chronicle, 12 March, 1845. 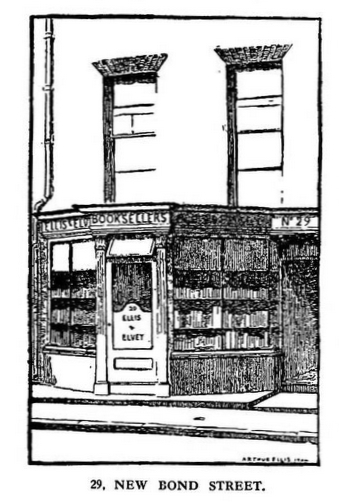 (7) The Oldest London Bookshop, p. 61-63. (8) England & Wales, National Probate Calendar (Index of Wills and Administrations), 1870. (9) Grave and burial detail from www.deceasedonline.com. 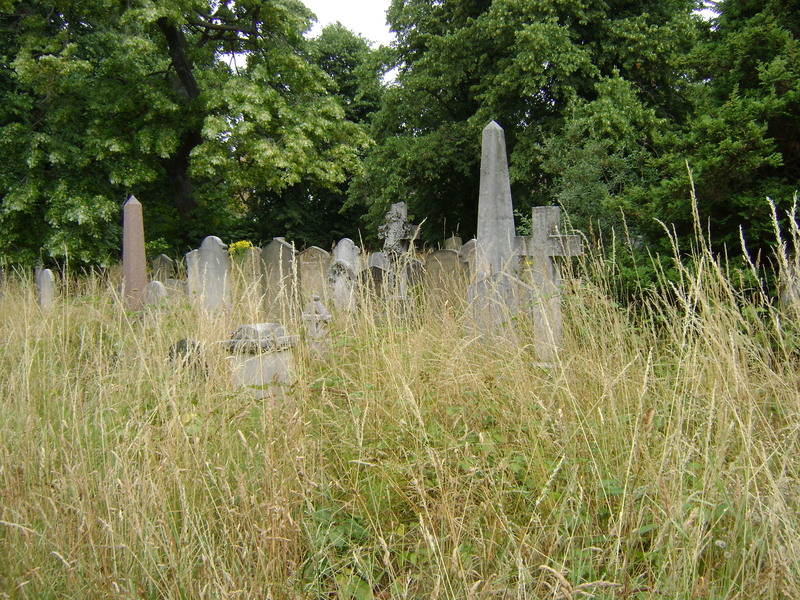 Thanks also to the kind people at Brompton Cemetery who checked their records in the hope of locating the graves. (10) England & Wales, National Probate Calendar (Index of Wills and Administrations), 1873.